Team-based learning is an active learning instructional strategy used in the traditional face-to-face classroom. Web-based computer-mediated communication (CMC) tools complement the face-to-face classroom and enable active learning between face-to-face class times. This arti-cle presents the results from pilot assessments of computer-supported team-based learning. 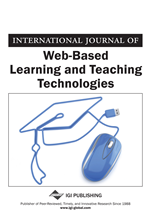 The authors utilized pedagogical approaches grounded in collaborative learning techniques, such as team-based learning, and extended these techniques to a Web-based environment through the use of computer-mediated communications tools (discussion Web-boards). This approach was examined through field studies in the course of two semesters at a US public technological university. The findings indicate that the perceptions of team learning experience such as per-ceived motivation, enjoyment, and learning in such a Web-based CMC environment are higher than in traditional face-to-face courses. In addition, our results show that perceived team mem-bers’ contributions impact individual learning experiences. Overall, Web-based CMC tools are found to effectively facilitate team interactions and achieve higher-level learning.